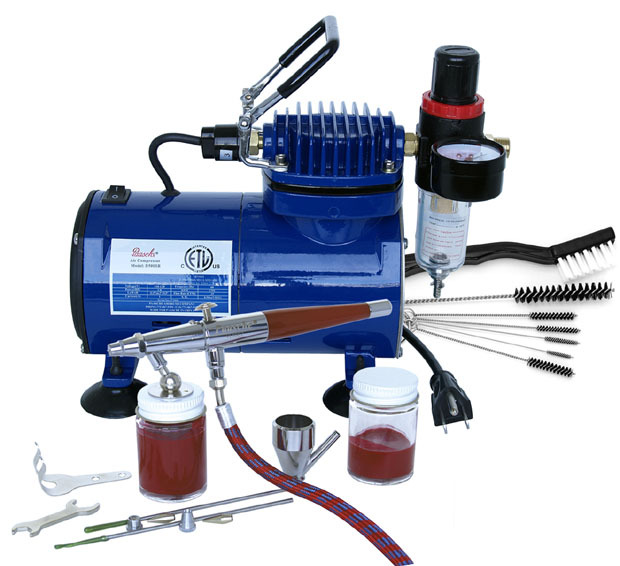 The ‘VL’ is our most versatile double action airbrush. 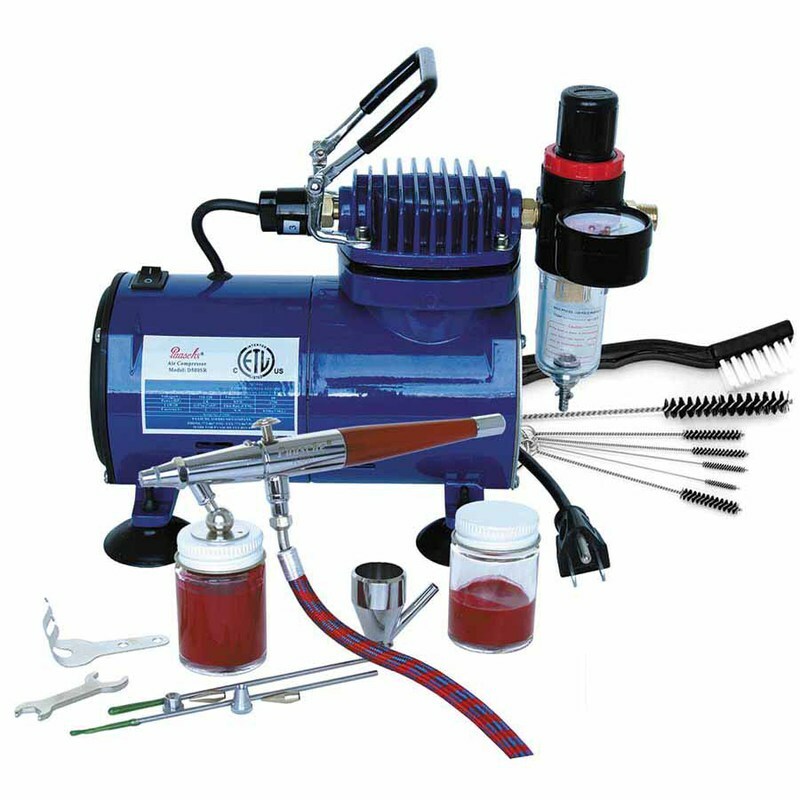 It is perfect for T-shirts, Taxidermy and most other applications. The D500SR delivers clean dry air at 20-30 P.S.I. 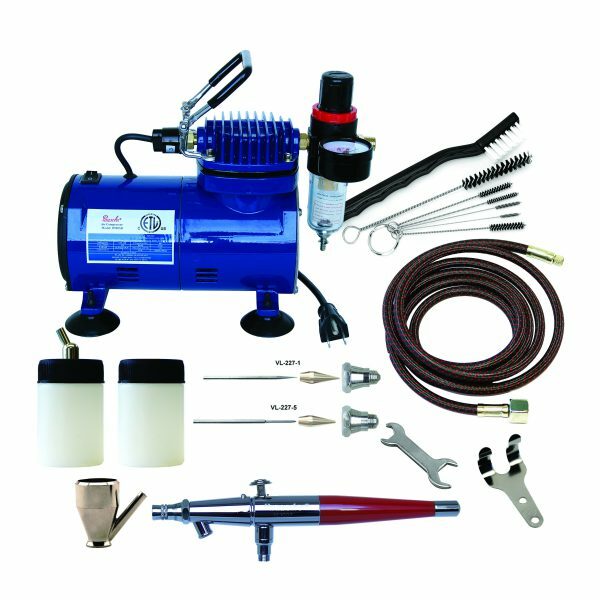 * D500SR Air Compressor 1/8HP, ETL Listed with Switch & R-75 Reg.